Explore the sweet side of Riesling. Explore the sweeter side of Riesling and enjoy a night with Tim from Pure Wines, who has carefully handpicked a selection just for the night. Indulge in the most luscious dessert wines accompanied by delicious sweet treats by Chef Ben King. 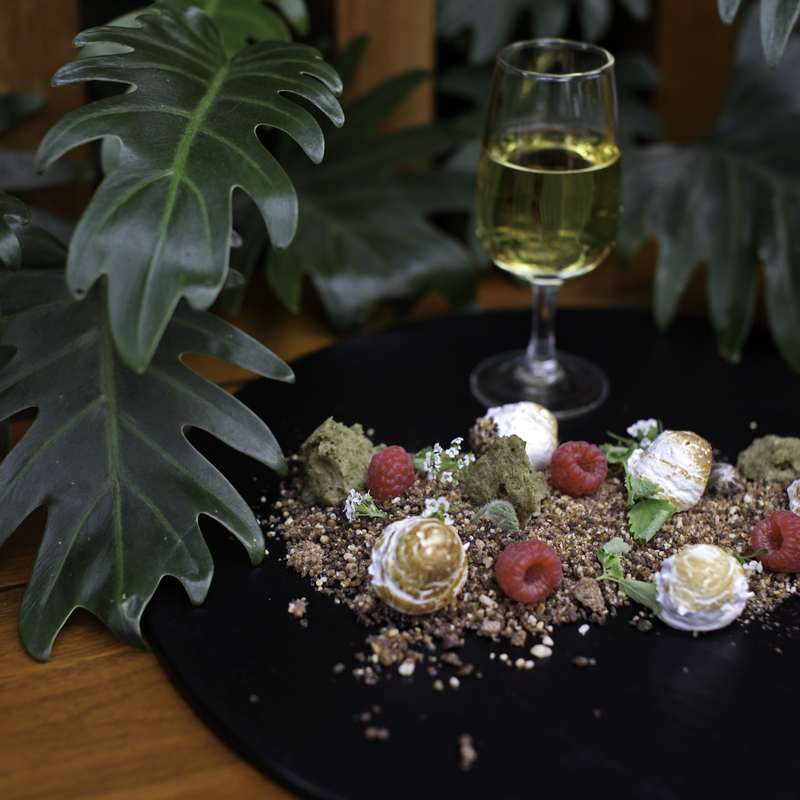 Forest Floor – Chocolate soil, meringue toadstools, Matcha sponge moss, edible flowers, raspberries, lemon balm. Matched with Urlar Noble Riesling, New Zealand. Desert Rose – Dehydrated caramel praline sand, lime semifreddo, pomegranate and rosewater gel. Matched with Epitome Late Harvest Riesling, Adelaide Hills.